In my previous article where I introduced MoneyOwl, I mentioned that they'll be rolling out more services in time to come. And now, they've launched their Digital Wills Writing Services. 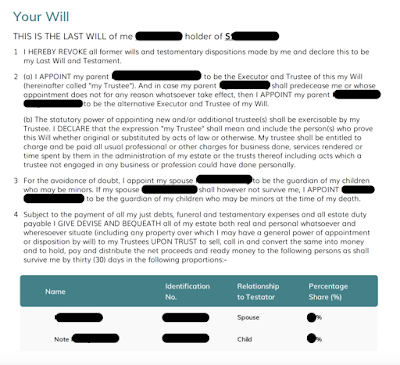 I've just used it for myself to get a will (written for FREE), and thought some of you might also be interested to do the same. Why should I prepare a will? The importance of having a will struck me when my dad first highlighted that he wanted one because of his ill health and repeated hospitalisation stays. He wanted to have a say in how his assets will be distributed especially if something were to happen to him. You can include non-family members as beneficiaries of your assets. Indebted to a good friend, or have someone you wish to help? Without a will, they won't get a single cent. Even if your assets are meant for just your loved ones, there are often serious disputes and disharmony when those living are not happy with the distribution. You can appoint the right executors and trustees. Not everyone may be savvy enough to manage your finances, and some might even make the wrong moves. You can appoint a guardian to take care of your underage children. Wanna avoid a situation like Harry Potter being sent to his cruel aunt and abusive uncle? Draw up a will! transfer the property ownership (or sell it). Simply showing their marriage or birth cert as evidence of your relationship will not suffice in most cases. I'll share a personal example. One of my relatives recently passed away and did not leave behind a will. His co-owned a HDB flat with his son, so according to HDB's practices where the flat goes 100% to the co-owner, his son now legally owns the entire flat. His wife and daughter will get nothing. Unfair? Well, that's because the flat is a jointly-owned property, which is therefore not distributable as part of the estate, but belong to the surviving joint owner entirely. You should also consider doing a CPF nomination here if you haven't already done so. TLDR summary, don't be lazy and go draw up a will to avoid conflict. What many people do not know is that Singapore recognises self-written wills, which means you can technically write your own will for no cost at all, provided that you know how to design one (covering assets distribution, afterlife arrangement, etc). Do note that a will can be deemed invalid if it has not been drafted properly or was ambiguous. 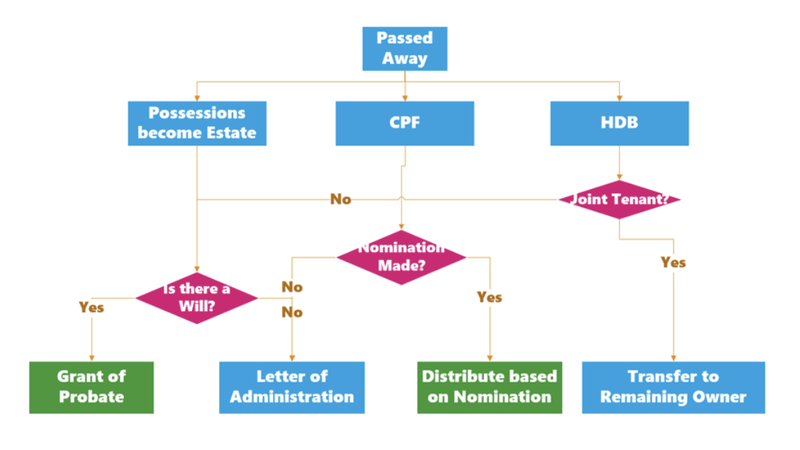 To make known where your will is kept, you can also lodge it with the National Wills Registry for a fee of S$50 (but it does not keep a copy of your will). Even the National Wills Registry recommends that you consult a lawyer for assistance if you're unclear about how to prepare your will. This typically can cost between $300 to $500. The quote I got recently from a lawyer for my father's will was $350, to be exact. Can I get a will written for me for free? Now you can! 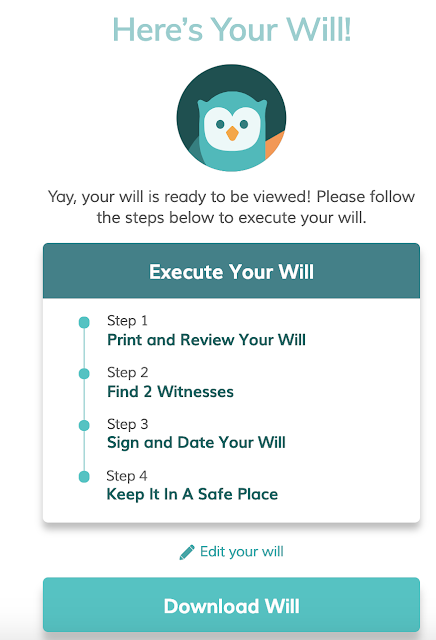 Thanks to MoneyOwl, who has rolled out a digital will-writing service that you can complete in less than 10 minutes. Sidenote: I do not get anything if you use this promo code; it simply informs MoneyOwl that you're trying to claim a promo code they generated specially for my readers. However, if you've more advanced needs that aren't as straightforward, or if you're a Muslim who needs your will to adhere to Faraid guidelines, then this service might not be for you. In that case, consider approaching a lawyer for more advice. Should I write my will now, or in the future? Now, because you'll never know what might happen tomorrow. And don't worry, because MoneyOwl offers unlimited edits! Keep the original signed copy in a safe place, such as with your insurance policies. Do note that digital copies and digital signatures are still not acceptable in the court of law. Drafted my will with MoneyOwl. You can head over here to MoneyOwl and key in the promo code MOPTR2 to get your own will written for free. Now you can bypass the lawyers to do so, and that's more money saved. Yay! Disclosure: This post was written in collaboration with MoneyOwl. All opinions (and the will shown here) is that of my own, and was done of my own accord. Oh interesting perspective! I've not considered minors in this post because I thought they typically wouldn't care about writing a will just yet. Could you elaborate more so we can all learn? Thanks in advance! May I know what will you gain or benefit by providing this free Will Writing? OCBC has an online will generator. Anybody used it? Is it any good?